Preservation Station Market, Restaurant and Event Center is a 39,000 sq. ft. former elementary school converted to a retail marketplace with over 60 shops and a gym that can host community events. Open Tuesday through Sunday 10 a.m. to 5 p.m. customers can visit shops, the restaurant or the beauty salon. 2019 Market Days will take place Feb. 2 & 3, Mar. 2 & 3, Jul. 6 & 7, Sep. 7 & 8, Nov. 2 & 3, and Dec. 7 & 8: Saturday 10 a.m. to 5 p.m. and Sunday 12 p.m. to 4 p.m. Over 100 vendors are usually in attendance and there is live music and good food as well! 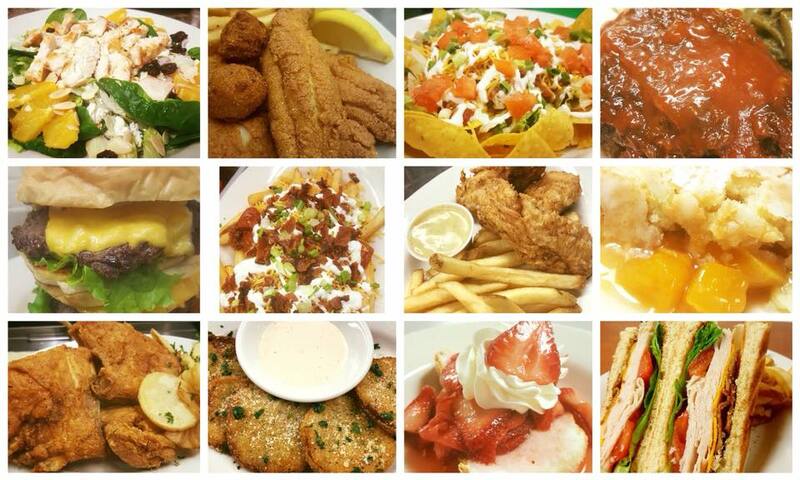 Newly added is a 100 seat restaurant serving Southern favorites! Open Tuesday through Saturday 11:00 a.m. to 3:00 p.m. (Lunch), Sunday 10 a.m. to 2:30 p.m. (Brunch). The Preservation Station Family Restaurant is now open! Hours for the restaurant are Tuesday through Saturday 11:00 a.m. - 3:00 p.m. (Lunch) and Sunday 10:00 a.m. - 2:30 p.m. (Brunch- Sunday Brunch Menu). Visit over 60 shops selling antique, unique, boutique, shabby chic, vintage, rustic, and handcrafted finds! Where everything old is new again. 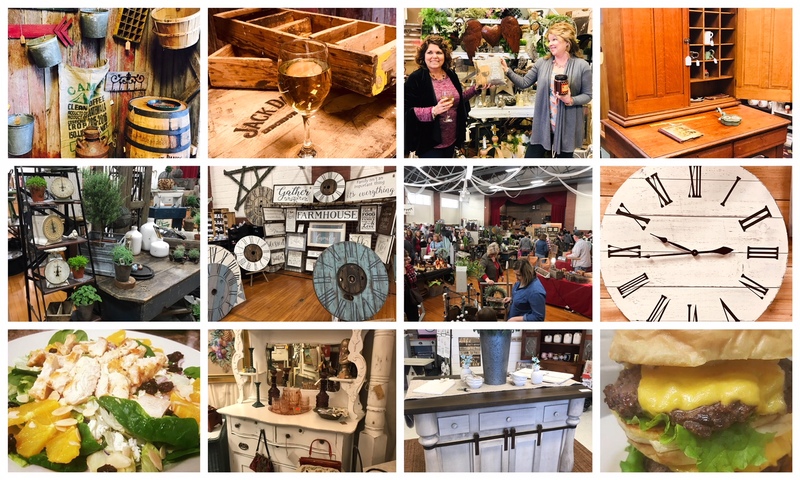 Come to 2019 Market Days Feb. 2 & 3, Mar. 2 & 3, Jul. 6 & 7, Sep. 7 & 8, Nov. 2 & 3, and Dec. 7 & 8: Saturday 10 a.m. to 5 p.m. and Sunday 12 p.m. to 4 p.m.! 60-120 vendors selling antiques, vintage, primitive, industrial, rustic, shabby chic, hand crafted, customized, and boutique items! Live music both days! A huge restaurant buffet serves hundreds of people. "It's a wonderful social event in an cool old school," says one shopper! Interested vendors please submit a Vendor Application. Once approved, vendors can mail in the dealer agreement by clicking here to obtain the form. An 8x8 space is a mere $55 and a 10x10 space is $80 for the weekend. This event is well-advertised and well-attended bringing in an average attendance of 1000-3000 people per weekend. It's a great way to network your business! Preservation Station Market, Restaurant and Event Center is a 39,000 sq. ft. former elementary school converted to a retail marketplace with over 60 shops, a restaurant and a gym that can host community events. Tuesday - Sunday: 10 a.m. to 5 p.m. 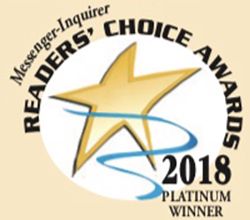 Copyright © 2019 Preservation Station Market, Restaurant And Event Center. All Rights Reserved.